This is my third article in a six-part series about what to do if you find yourself in mid-life or later and ill-prepared in terms of saving for retirement. 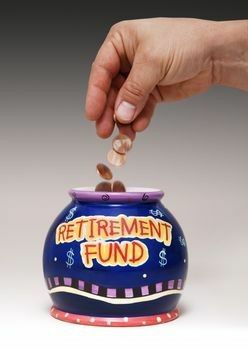 If you haven’t already, you may want to read the first two posts preceding this one: Behind in Saving for Retirement? (Part 1 and Part 2). God has promised to care for us. If your situation is like Mike’s and Debbie’s, you may be concerned or even fearful about your future. If so, this may be the most important part of this series. That’s because it’s about the hope we have in the promises of our loving Heavenly Father. This verse seems to suggest a conditional relationship between Israel’s success and prosperity their obedience to the Law of Moses. There are other promises in the Bible that are “conditional,” but the majority are not and are based solely in God’s love and grace. God’s promises are a gift to us and not something we deserve. Those who walk in the way of wisdom will have their treasuries filled. Really, everyone, all the time? Well, yes and no. Please don’t misunderstand what I am saying here. I am NOT suggesting some kind of “prosperity theology” whereby we can assume that God will provide a luxurious retirement for us regardless of whether we have prepared or not as long as we have enough “faith” that He will. In my opinion, that isn’t faith, it’s presumption. What I am saying is that learning and applying the wisdom that God has given us and then trusting Him for the result puts us in the best position to experience material prosperity. However, this is not a “promise” – it isn’t guaranteed. God is sovereign in how he distributes His blessings, and some wise people will not prosper greatly in this life. They may only truly experience that in the life to come. But He also expects us to do our part. On the other hand, as I discussed in the first article, there is a fundamental biblical principle concerning our responsibility to take action and plan for future needs. As my pastor recently said, “sovereignty does not mean passivity”. God has a propensity to use human agency and action in the accomplishment of His will, and that applies to saving for retirement as well. One of the ways that God cares for us is by giving us wise advice on how to plan for the future. We are encouraged to gather (save) in summer so that we will have what we need in winter (retirement). If we are asleep at the wheel in terms of planning our retirement, God will care for us, but we may find ourselves living in less than desirable circumstances later on. A more literal translation paraphrases the last part of this verse as, “That way you will realize that nothing is certain in this life.” The bottom line here is that no matter how much you make or how much you save, there will always be uncertainty in this life. Therefore, those that have made plans as well as those that haven’t can be tempted to worry. The only real antidote for worry is faith and trust in God. That’s true whether you have taken steps to prepare for your retirement or not. Financial fears and worry come from a misunderstanding about God and what He’s promised to do for you. He’s assumed responsibility for your needs. He says, “I’m your Heavenly Father; I’m going to take care of your needs. You’re my child.” We always get into trouble when we doubt the love of God and His willingness to care for us. But we also need to take responsibility (and action) for our own situation. If worrying is playing God (assuming responsibility for something that God has said He will take care of), then passivity and inaction is presuming on God’s kindness toward us and taking His grace and kindness for granted. Neither is part of good retirement stewardship. The bottom line – God knows and cares. God knows what’s going on in your life — and in your checkbook. God knows all your needs even before you ask. He wants to help you. But he also wants you to do everything you can to practice wise retirement stewardship. You may need to go on a “beans and rice” budget so that you can significantly ramp up your savings. But no matter what, God doesn’t want you to succumb to fear and hopelessness. In the next post, I’ll go a little deeper into this issue and the specific challenges we are facing. Later, I’ll give you some practical steps you can take to play catch up or to make your savings last if you are already in retirement. Read the next post in the series: Behind in Retirement Stewardship? (Part 4).